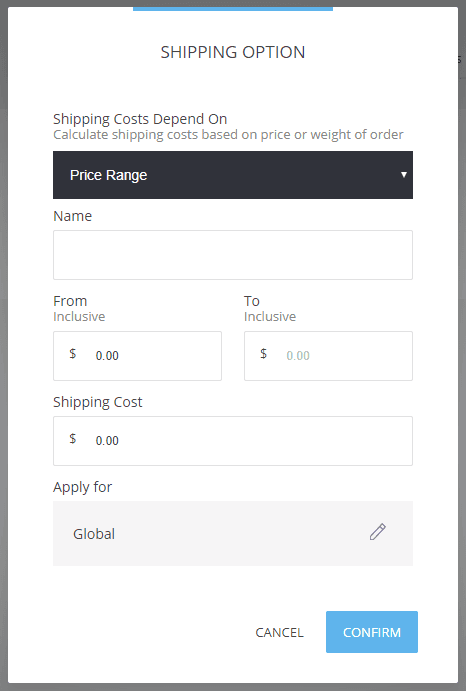 To create a shipping method click on 'Add Shipping Option'. 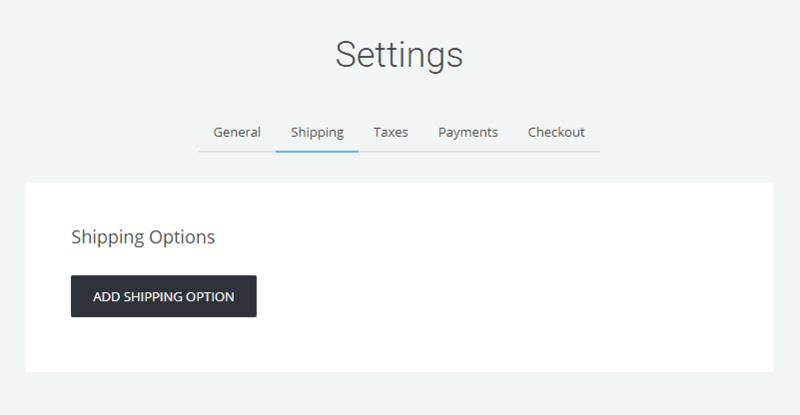 You can create a shipping charge based on Price Range and on Weight Range. After that you enter the name of the shipping that will be displayed in your store followed by the range of Price or Weight. You can apply the discount code Globally or for specific countries.